RIT members are responsible for informing their guests of the RIT parking rules and regulations. All visitor spaces located on campus require a permit/pass. 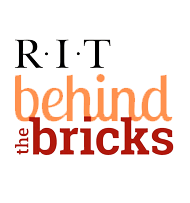 Sponsors of RIT departmental functions are responsible for any citations or towing fees incurred by their guests. Participants of multi-day seminar, camp, or conferences, should contact the department organizing the event for parking arrangements and instructions. If your vehicle is issued a parking citation, simply follow the instructions on the citation and submit a note to the Parking Office. Daytime or overnight visitors of residence halls residents may park in Lots C and K. A visitor permit is required between the hours of 5 a.m. and 5 p.m. Monday through Friday. This permit is free and can be obtained from our Welcome Center at 7 a.m. or the Parking and Transportation office located in Grace Watson Hall at 8 a.m. Visitors arriving after 5 p.m. on Friday and leaving campus before Monday morning at 5 a.m. are not required to have a visitor pass to park in these lots. These parking lots are enforced. If your vehicle is issued a parking citation, contact the Parking Office for further instructions. See additional information under the Restricted Parking Areas: Apartments at Definitions, Restrictions, and Parking Regulations. Seminar, workshop and/or conference participants should contact the organizers of their events for parking arrangements. Organizers of seminars, workshops and conferences are responsible for making parking arrangements for participants and for informing participants of RIT parking rules. The Parking Office should be notified well in advance of the event. Contact Adam Petzold, Special Events Manager to arrange parking accommodations for your guests.